Soaking up the sun with a margarita or a beer creates happy memories. For many of you, one of the best things about the holiday is extending that feel-good feeling with some duty-free! But whilst you may be keen to save some money on tobacco or bring the local liquor back to remember the good times – do you know how much you are allowed to bring home and what is actually duty-free? If you are purchasing something that is duty-free, it means you are not paying excise duty and tax. This usually means great deals on those things taxed heavily in your home country – typically tobacco based products such as cigarettes and cigars as well as alcohol in the UK. You could save up to 50% which is a nice little bonus at the end of your holiday. But you don’t want to get caught out – not knowing the rules is no excuse – so, here is your handy guide to what you can and can’t bring back! Right now if you are coming back from the European Union, you are allowed to bring as much as you like into the country. This may change following Brexit, so enjoy it while it lasts! (You also need to know that when it comes to customs The Canary Islands, Northern Cyprus, Gibraltar and the Channel Islands do not count as part of the EU). You must have paid the required duty and tax in the country you purchased them in. There’s nothing worse than your return to the UK being delayed with a customs interview after the passport control queues but if a customs officer thinks you are looking to sell your purchases, this may be just what happens! If you have more than this, you may well be answering a few awkward questions on the type and quantity of goods, your drinking and smoking habits as well as why you bought them and how often you travel! If you are travelling outside the EU, then you will need to be aware of your limits for certain goods as you must stick to the rules. If you don’t then you may need to pay the excise duty, customs and import VAT if you go over your allowance. This could turn some great bargains into an unwanted expense at the end of your hols. For goods other than cigarettes and alcohol, you are permitted to bring back a duty-free amount worth up to £390. It is worth noting that according to gov.co.uk, one single item over your allowance means that you have to pay duty on the entire amount! If you go over your allowance then you have to pay customs duty on anything you bring in above your allowance. The rate is 2.5% for goods worth up to £630 and depends on the type of goods if they’re worth more than £630. You can split this last allowance, eg you could bring 1 litre of fortified wine and half a litre of spirits (both half of your allowance). Wherever you are off to, make sure you know your allowance. 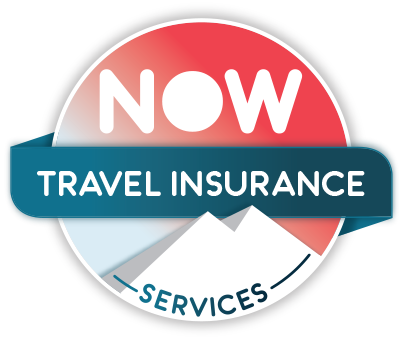 It pays to be prepared and of course, that includes travel insurance as well. We can help with specialist cover as well single and annual trip.